The High Capacity Black Toner Cartridge from Dell is designed to work with the Dell Laser Printer S2500. It produces high resolution printouts with impressively sharp images and text. This cartridge features a capacity of up to 10000 pages. The cartridge also supports Dell's Toner Management System for low toner detection and easy online ordering. This product has been tested and validated on Dell systems. 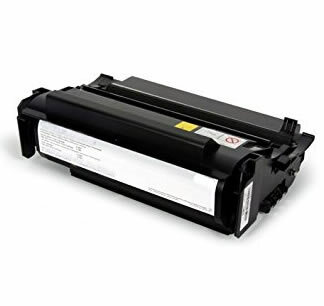 Black Toner Cartridge from Dell is designed to work with the Dell Laser Printer S2500. It produces high resolution printouts with impressively sharp images and text. The cartridge also supports Dell's Toner Management System for low toner detection and easy online ordering. This product has been tested and validated on Dell systems. The 3000-Page Standard Yield Black Toner Cartridge from Dell is designed to work with Dell Multifunction Laser Printer 1815n. It produces high resolution printouts with impressively sharp images and text. The High Capacity Magenta Toner Cartridge from Dell is designed to work with the Dell Laser Printer 2130cn and 2135CN. It produces high resolution printouts with impressively sharp images and text. 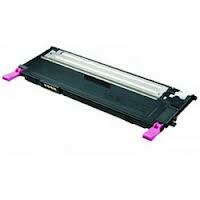 This cartridge features a capacity of up to 2500 pages. The cartridge also supports Dell's Toner Management System for low toner detection and easy online ordering. This product has been tested and validated on Dell systems. 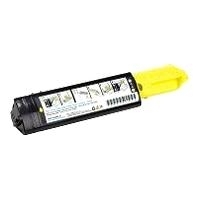 Dell 2150/2155cn Magenta Toner (High Yield) 2500 Pages. 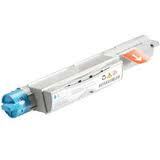 The Standard Capacity Cyan Toner Cartridge from Dell is designed to work with the Dell Laser Printer 5100cn. It produces high resolution printouts with impressively sharp images and text. This cartridge features a capacity of up to 8000 pages. The cartridge also supports Dell's Toner Management System for low toner detection and easy online ordering. This product has been tested and validated on Dell systems. Toner yields based on printing pages with 5% coverage in accordance with ISO/IEC 19798 testing methodology. Yields vary with usage and environmental conditions. The High Capacity Black Toner Cartridge from Dell is designed to work with the Dell Laser Printer 3000cn/3100cn. It produces high resolution printouts with impressively sharp images and text. This cartridge features a capacity of up to 4000 pages. The cartridge also supports Dell's Toner Management System for low toner detection and easy online ordering. This product has been tested and validated on Dell systems. The High Capacity Yellow Toner Cartridge from Dell is designed to work with the Dell Laser Printer 3100cn. It produces high resolution printouts with impressively sharp images and text. This cartridge features a capacity of up to 4000 pages. The cartridge also supports Dell's Toner Management System for low toner detection and easy online ordering. This product has been tested and validated on Dell systems. 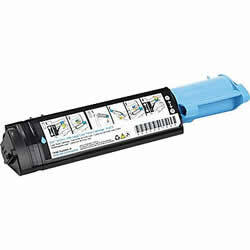 The Standard Capacity Black Toner Cartridge from Dell is designed to work with the Dell Laser Printer 2330d/dn / 2350d/dn. It produces high resolution printouts with impressively sharp images and text. This cartridge features a capacity of up to 2000 pages. The cartridge also supports Dell's Toner Management System for low toner detection and easy online ordering. This product has been tested and validated on Dell systems.